There is no direct upgrade path from 9 to 11. So, we have to first upgrade from 9 to 10, and then from 10 to 11. Starting version 10, upgrading F5 is fairly straight forward, as you can do it from the GUI itself (which is explained below). 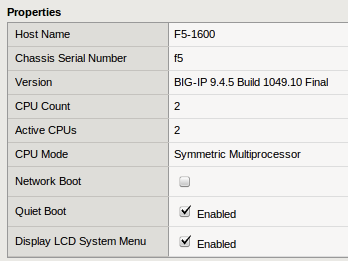 While this upgrade was done on a F5-BIG-LTM-1600 device, this is pretty similar to other LTM models too. Before we upgrade, let us backup the current configuration. 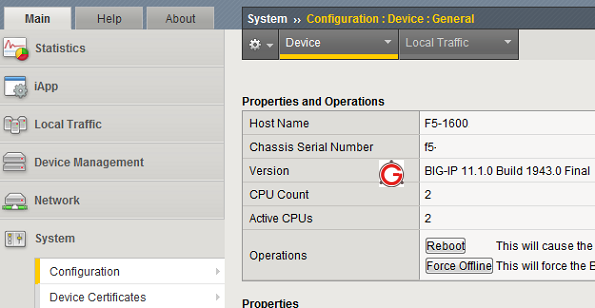 Login to the F5 GUI -> System -> Archive -> Click on “Create”, which will crate a backup of the current configuration. Click on “download” link next to the backup that just got created, and downloaded it to your local system. Also, SSH to the F5 box, and save the current configuration to config.ucs file using the “b config” command as shown below. Login to the F5 download site with your f5-support username and password, and download all required ISO images. Click on ‘Find a Download’ -> Click on “BIG-IP v9.x” -> Click on “9.4.8” (and download the local-install version). Please note that you’ll download localinstall only for upgrading from 9.4.5 to 9.4.8 (for 10 and 11, you’ll download full install as shown below). In this example, it downloaded local-install-9.4.8.355.0.im file. Click on “BIG-IP v10.x / Virtual Edition” -> Select “10.1.0” from the drop-down list (If you see any latest version than this on 10.x, you can use that too). In this example, it downloaded BIGIP-10.1.0.3341.0.iso file. Click on “BIG-IP v11.x / Virtual Edition” -> Select “11.1.0” from the drop-down list. In this example, it downloaded BIGIP-11.1.0.1943.0.iso file. Login to F5 using ssh, and create the following directory. Using SCP copy the downloaded local-install-9.4.8.355.0.im file to /shared/images directory. Do a md5sum command on this file on the device, and compare with the MD5 checksum value you got from the F5 download website for this localinstall file. Use im command to execute the local-install file, which will upgrade from 9.4.5 to 9.4.8. Remember, the reason we are doing this upgrade is because we need image2disk command to have format option (which is required during upgrade 10). This format option on image2disk command is not available in version 9.4.5 (or previous versions). In the following upgrade, it shows that v9.4.5 is installed on HD1.1. So, you have to choose HD1.2 to install v9.4.8 (i.e the one on which the current version is not running). Again, the key point to remember here is that, select the other HD where the currently running version is not installed. In the above example, current version is running on HD1.1. So, I have to select HD1.2 to install the new version. Using SCP copy the downloaded BIGIP-10.1.0.3341.0.iso file to /shared/images directory. Do a md5sum command on this file on the device, and compare with the MD5 checksum value you got from the F5 download website for this localinstall file. Before starting the upgrade, SSH to the F5 box, and save the current configuration to config.ucs file using the “b config” command as shown below. The im utility is no longer used to upgrade software images. Please use 'image2disk'. For help, use 'image2disk -h'. You must always install to an image location that is not in use. Before using image2disk to upgrade, you want to identify which HD to use for installation. Use switchboot -l command which will display which HD is currently getting used. warning: System has no isoinfo utility; guessing that BIGIP-10.1.0.3341.0.iso is a product image. warning: This system has old boot configuration utilities. warning: Services must be stopped during updates. info: Selected product requires a minimum of 1024 MiB of ram. Starting from version 10, you don’t need to use im (or image2disk) to install the ISO, instead you can just upgrade from the F5 GUI itself. Login to F5 UI -> System -> Software Management -> Image List -> Import. Click on ‘choose file’ and select the version 11.1 image file (i.e BIGIP-11.1.0.1943.0.iso ). Click on the ‘Import’ button. Once imported, this will show the available ISO images. Click on the check-box in front of BIGIP-11.1.0.1943.0.iso, and click on ‘Install’, which will just upgrade from version 10.1.0 to 11.1.0. The configuration has not yer loaded. If this message persists, it may indicate a configuration problem. This might happen only if you are upgrading from pre version 10 to directly version 11. In my case, it happened, as I upgrade from version 9.4.5 to 9.4.8 to 10.1.0 to 11.1.0. So, I rolledback to version 10.1.0, made some change to the configuration, saved the configuration file from the UI, and did the upgrade again from version 10.1.0 to 11.1.0. After this, “The configuration has not yet loaded” error message was gone. just a question – can a resource manager have console access? Which kind of changes did you do? First, THANK YOU. This is a very thorough write-up, and you saved me dozens of headaches. When upgrading from 9.4.8 to 10.2.4, it is critical to change the disk structure from “partitions” to “volumes”. The image2disk command no longer allows using both options –instslot and –format, it was an either/or situation now. Since v10 worked on either partition or volume, I decided not to reformat the disk. I left v10 running on partition. But … Partitions caused the subsequent upgrade from 10.2.4 to 11.3.0 to fail. I believe v11 is volume-only. It could neither install on partition nor convert the existing partition to volume. Upgrade fails instantly, both via the web interface and using image2disk –format=volumes. SOLUTION: Using image2disk, I applied the 10.2.4 iso image overtop of the existing 10.2.4 install. This converted disk config from partitions to volumes. Once that conversion completed, then the upgrade to 11.3.0 worked automagically via the web interface.